Tundra, also known as EKS or Unified Space System (USS), is a constellation of Missile Early Warning Satellites established by Russia between 2015 and 2020 to close a gap in space-based missile tracking capabilities. Russia launched the last satellite in its previous Early Warning Constellation in 2012. This final Oko satellite reportedly stopped operating in mid 2014, leaving Russia relying on ground-based missile detection systems only as the next generation of EW satellites was not yet ready for launch. The Oko (Eye) missile defence early warning program was initiated in the early 1970s and was comprised of US-K satellites in Molniya Orbits and second generation US-KMO satellites deployed to Geosynchronous Orbits. The satellites operated infrared sensing equipment to be able to detect the thermal signatures of missiles allowing them to be tracked and intercepted. The final US-K satellite was launched in September 2010 and was followed by the final US-KMO satellite in March 2012, closing out a program that saw 101 satellites launched into orbit. The US-KMO satellite launched in 2012 suffered a severe power failure in 2014 and could no longer be operated, leaving only two more satellites in operation. These two satellites were taken offline in January of 2015. With no more space-based early warning capability, Russia had to rely on its ground radar systems for the detection of incoming missiles, though these systems are limited in range and only provide a fraction of the warning time satellites can deliver. This gap in early warning capability is the result of a long string of delays in the EKS program that was initially expected to be inaugurated in 2007. EKS satellites are built by RSC Energia, marking a switch in satellite manufacturers as the Oko spacecraft were built by NPO Lavochkin. 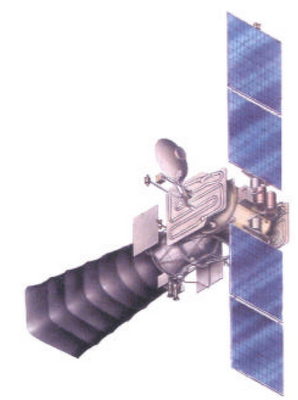 The EKS program was initiated around 1999/2000 with the objective of integrating the detection, command and control tasks required in missile warning and defence as part of a Unified Space System comprised of satellites in high orbits. Aerospace Defence Force officials noted that the EKS system not only can detect intercontinental ballistic missiles but also tactical theater and tactical missiles. The first EKS satellite was ordered for delivery by 2008 and a test launch in 2009, however technical challenges delayed the project with the first launch slipping to 2012. The Russian Ministry of Defence filed a lawsuit against RSC Energia in 2011 for a compensation for the project’s multi-year delay. Energia claimed that the Ministry of Defence kept changing the specifications, demanding technical modifications that were beyond what was possible in the industry. The Russian MOD lost the court case and the first satellite was delivered, however it would not be launched for several years. In 2012, the MOD announced that contracts for the subsequent EKS satellites were signed and the first launch would take place later in the year. No information is available on what caused the EKS program’s first launch to slip to 2015, several years after the delivery of the first satellite. Technical details on the EKS satellites are not available to the public. 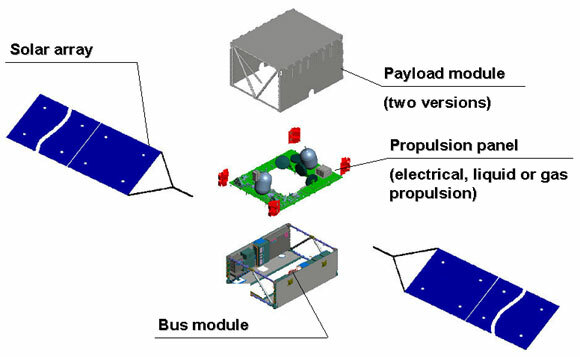 It is highly probable that the EKS satellites make use of Energia’s Universal Satellite Platform as bus module. The USP has been designed to host a variety of payloads to make the platform suitable for both, the commercial and government sectors. 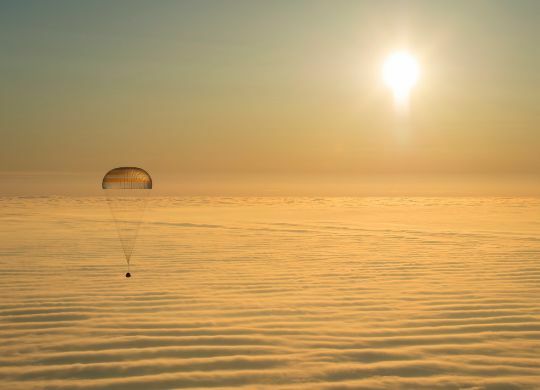 The Universal Satellite Platform does not use any pressurized compartments which have been employed on previous Russian satellites to provide a controlled environment to the electronics. The spacecraft utilizes lightweight composite materials with internal and external panels providing installation locations for satellite equipment. The USP has a dry mass up to 1,200 Kilograms and can support payloads up to 1,000 Kilograms. The satellite’s two solar arrays deliver up to 2,200 Watts of electrical power to the payload system. Power is stored in Nickel-Hydrogen batteries and dedicated avionics generate a regulated power bus of 28.5 Volts. The satellite uses a three-axis attitude determination and control system based on Star Trackers among other sensors and reaction wheels for attitude control. In addition to a liquid-fueled propulsion system, USP can host an electrical propulsion system for added maneuver capabilities. No information on the payload of the EKS satellites is available except that it is built by TsNII Kometa that also provided the Oko early warning payload systems. The US-KMO satellites used to carry a 1-meter diameter infrared telescope outfitted with a deployable 4.5-meter long sunshade. Molniya Orbit Ground Track – Image: Analytical Graphics Inc. 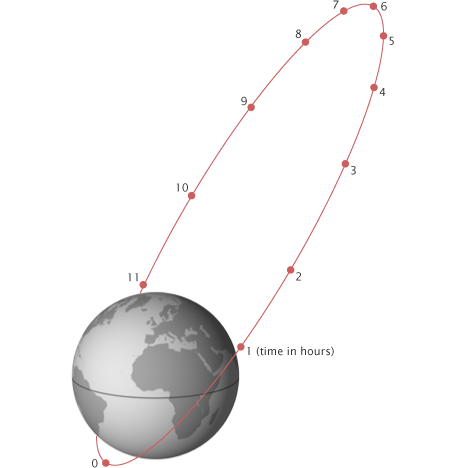 The Tundra satellites are operated from Molniya orbit, a type of highly elliptical orbit that is set up to pass apogee over the same two locations in the northern hemisphere every day. Tundra-type Orbit over the Americas (Sirius XM) – Image: Analytical Graphics Inc. Given their code name and purpose, the satellites were initially expected to be targeting a Tundra orbit – a type of highly elliptical geosynchronous orbit with a high inclination, typically 63.4°, and an orbital period of one sidereal day, four minutes shorter than a solar day. This orbit allows a satellite to spend most of its time over a chosen area of Earth, known as apogee dwell, which makes this particular orbit design suitable for satellites aiming to focus on locations particularly far north or south depending on the mission needs. 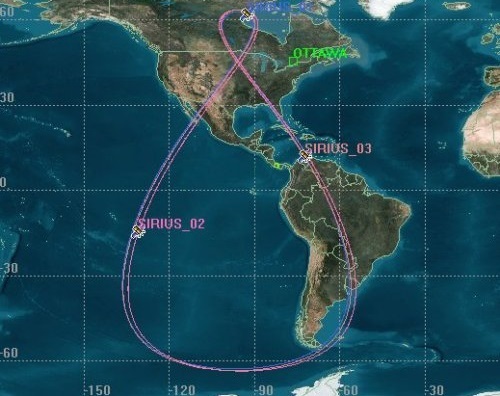 Forming a Figure 8 with its ground track, a satellite in a Tundra orbit reaches very high elevation angles for the high latitudes which is not possible from Geostationary Orbit over the equator. 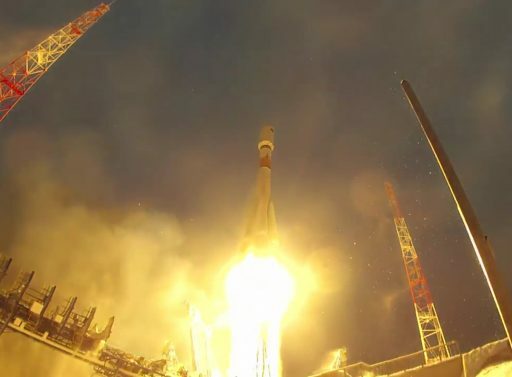 The first EKS satellite lifted off atop a Soyuz 2-1B/Fregat rocket on November 17, 2015 from the Plesetsk Cosmodrome and was tracked in a typical Molniya Orbit. EKS No. 2 launches in 2017 and another three are to follow by 2020 to establish a constellation that can provide 27/4 coverage over the entire Northern Hemisphere to provide advance warning of any missile activity.